The 135cm KeenCut Safety Straight Edge is a centimeter-scaled ruler designed to measure and assist in cutting different materials with its edge. 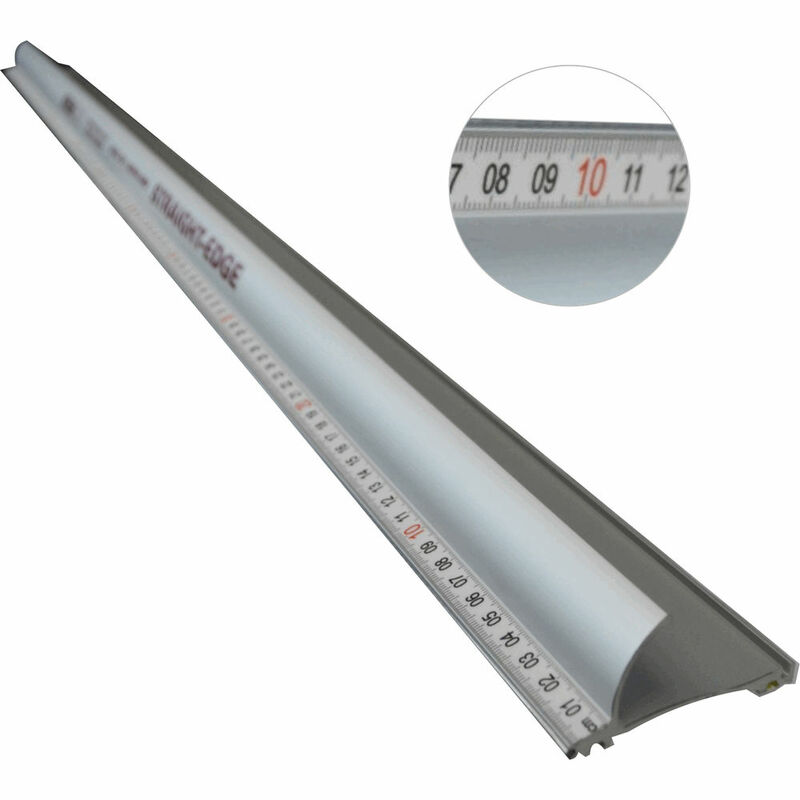 This ruler is made of aluminum with a durable silver anodized finish and is embedded with a steel edge that protects the ruler and your cutting tools from normal wear and tear. On the bottom of the edge, two silicone grip cords run the length of the ruler, keeping the Straight Edge in place and holding the material without damaging the surface. Cutting the desired length is simplified with the large, easy-to-read black text on the side of the ruler's non-reflective white background. As you cut the material, your fingers are protected by the curved integrated finger guard. Once you're done using the Straight Edge, you can wall mount and store the ruler via its machined hole.